Kevin and Andy created and executive produced this animated sitcom for the ABC Family channel in 2007. 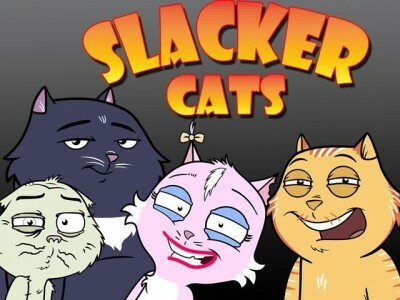 It’s about a group of dysfunctional domestic cats in a small American town. Here’s Tabitha, showing off her new boyfriend to Buckley and Eddie.